Now You Can Learn More and Have Fun - All In Less Time. From Wherever You Are - Beginner to Expert - To Where You Want To Go, I'm with You Every Step of the Way. No Hype, No Heroes - No Limits. "I've learned more in three lessons than I have in the last 40 Years...Life changing"
"Neil is an inspiration. I've learned and progressed more with him in 5 months than I had in all the previous years. He unlocks theory, makes it easy, enjoyable and fun. The guidance on technique has been the biggest revelation. Simple adjustments have transformed my playing"
Guitar & Bass Guitar Lessons in Broseley, near Telford, Shropshire. 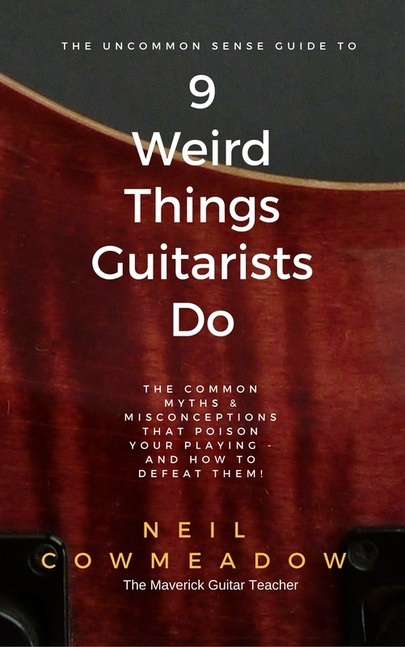 Amazon #1 BestSelling Book for Guitarists! If being Average excites you, this is not the book for you. The Amazon Number One Bestseller! How Myths, Misconceptions and Downright Lies had me fooled for over twenty years - and they fool almost everyone. Discover the truth, read this book. Now Available in Paperback & Ebook formats. You can even Get it for Free on Kindle Unlimited. Change your guitar-playing for the better...Forever! If You Think Education is Expensive - Consider the Cost of Ignorance. You already know that time is one thing you can't get more of, don't you? So doesn't it make sense to hire an expert who can do what you want to do, and learn faster from them? As everybody knows, you can always earn more money - but you can never get any more time. Whether you’ve been playing guitar for years or are an absolute beginner, booking your guitar lessons with Me will radically improve your playing and understanding of music. And if you've been studying music with other guitar teachers, or learning bits and pieces from YouTube videos, you're going to love my radical, no BS approach to learning guitar, and learning how music really works. That's because I focus on Functional Guitar Playing - I only do what works, and I'm dedicated to debunking the nonsense and ill-informed opinion of conventional wisdom and its supporters. For beginners, the crucial first steps will determine what happens for the rest of the player’s life, so getting proper, real-world expert guidance is the best possible investment you can make in yourself. Remember – you can’t build a castle without foundations. "...education always seems expensive - until you consider the cost of ignorance..."
So if you’re setting out on a new journey, get the expert help you need, right now - at the start, when you need it most. And if you are already playing, but you’re stuck at a plateau – I'll help you to smash through your current limits. Clever people hire experts, because experts know the way to excellence. I'm a full-time guitar teacher based in Broseley, near Telford, Shropshire. Since 1999, I've been guiding guitar and bass players towards excellence and having more fun as they learn how to play better. I've taught hundreds of students and conducted tens of thousands of guitar lessons: accumulating around 40,000 (forty-thousand!) hours of face-to-face guitar teaching experience in lessons for students of all abilities. I wasn't happy teaching conventionally with Shropshire Music Service, but I was headhunted into four local schools to teach my method and system as their guitar teacher of choice across age ranges from 5 to 18. I focus on what works for my students, so every lesson is tailor-made to suit each individual student. I only teach one-on-one to ensure you - the student - get proper, individual attention for the entirety of your lesson. Every student is different, so every lesson should be different. You might settle for a "one-size-fits-all" music school, but don't you deserve the undivided attention of your guitar teacher during your lessons? And who wants to be in a competitive environment whilst learning a new skill - given that you have a busy life and will progress at a different rate than anyone else will? Group guitar lessons are great for the teacher who is more concerned about making money than helping their students, but a teacher just can’t give the student their undivided attention within group lessons. Tuition levels range from introductory lessons for absolute beginners seeking the basics, right through to intensely focused lessons and remedial work with seasoned professionals with specific needs. I believe that anyone can learn to play guitar. I also believe that if f the student finds it hard to learn, then that’s a teaching problem – it’s not the student! That's why I'm constantly learning, striving to perfect and optimise my teaching methods. As part of that ongoing learning programme I've earned a Diploma in Music, a First-Class Honours Degree, and a Certified Practitioner of Neuro Linguistic Programming (NLP) qualification, and other coaching qualifications. After I became disillusioned with old-fashioned, traditional music teaching methods, I set about developing a unique, guitar-specific method and a unique understanding of music: it's all part of a passionate pursuit of what actually works. Traditional teaching does not recognise that the guitar and its family of instruments have unique properties, because traditional music teaching methods were developed by music academics – who are predominantly keyboard players, rather than guitarists. In fact - as one of my students put it - I have “...cracked The Guitar Code”, by designing a structured system that allows you to build your skills from a robust core. If you are a critical thinker with no time for pretentious nonsense and hero-worship, we're going to get along famously. I don't believe in the existence of god-given talent, rather that Talent is both a myth, and a nice shorthand word that lazy people use to stand-in for a combination of skills. Basically, you can use the word "talent" as a proxy word for the following skills - all of which are teachable: good technique, understanding of the instrument, knowing how music works, and having the ability to fearlessly make mistakes. Learn that suite of skills, and - to anyone who doesn't have them - it looks just like talent, or a special gift. To put it another way, "In the real World, riding a workhorse is preferable to chasing the unicorns of cleverness". Having widely researched and gained knowledge in multiple fields outside of music, I'm always interested in working with players with unusual needs, conditions or physiological problems. Happy to pursue the polymath's interests and with experience in sports, bio-mechanics, physical science, physiology, business and finance - to name just a few of my interests, I'm still pushing myself to improve my teaching methods and skills by accepting any available challenge or unusual student request. Whoever you are, and whatever you do, there’s always scope for improvement, and for me., the teaching breakthroughs often come from working with non-typical students. I love the challenge of atypical students, because they push me to become even better at what I do: to find a way. I’ve learnt so much from teaching the unusual, conventionally “difficult” students – especially the players who have been told by other guitar teachers to not waste their time trying to learn to play guitar. In a nutshell, what I've learned over nearly two decades of teaching guitar is simple: You can learn to play guitar. Don't take "no" for an answer - you can do it! I've developed lessons for players with a wide range of issues, including blindness, carpal tunnel problems, RSI, arthritis, vibration white-finger, restricted movement, tremor, and other conditions such as cerebral palsy, dyslexia, dyspraxia, and dyscalculia. In parallel with my teaching work, I was also a partner in a traditional brick-and-mortar music shop (County Music Supplies, on Wyle Cop, Shrewsbury) and built up a guitar repair business (Cowtown Guitars) with a reputation for absolute professional integrity and transformational set-ups of customers’ instruments. Past clients include members of The Verve, The Alarm, Tenpole Tudor, plus numerous local bands and solo artists. When I'm not teaching, I compose my own projects, and collaborate with Black Hole / BMG artist Solarstone. I occasionally do recording session work across a wide range of genres, and perform in both theatrical pit bands and rock/pop groups. I travel internationally as Caline Electronics’ Effect Pedal demonstrator at events such as MusikMesse Frankfurt. 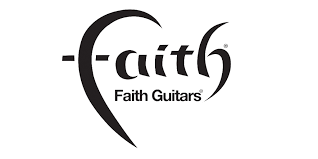 Because of wide practical understanding of physics, electronics and sound, I was a technical troubleshooter for both LAG and Faith Guitar brands, and was head-hunted as a production engineering consultant to Denso (Europe), researching and developing unconventional solutions to production line engineering problems. I've also been BBC Radio Shropshire’s on-air expert for a phone-in shows about learning to play a musical instrument, and was also recruited to act and to play guitar in Santander Bank’s TV commercial, shot in Shrewsbury. Fully Accredited RGT (Registry of Guitar Teachers) Teacher. BBC Radio Shropshire Phone-in expert guide. MusikMesse Trade-Show Demonstrator for Caline Electronics. Effects Pedals and Accessories. Technical consultant to LAG Guitars' UK distributor.